CSI: Complete Septic Infiltration… – FORTY OAKS TREE SERVICE LTD. I was recently called to give an estimate in the Cobble Hill area. The homeowner had discovered his septic system was clogged and backing up. He suspected trees were to blame. On the uphill side of the septic system, only set back 8-10 feet, were six Alder trees. These trees were most certainly the culprits. They were thirsty for water and had discovered a never-ending supply…..the d-box. The top ring is a portion of a clear distribution line. The bottom ring is a portion of the clogged distribution line. The tree roots had broken through the side of the d-box and traveled down the septic field lines causing full obstruction of the line and the septic system to back up. It is important to know your septic schematic. Know where the important parts of your septic system lie. Look at the trees that surround your septic system. Identify whether they are deciduous or conifer. Deciduous trees are more prone to seek water than conifer trees. Common deciduous trees include Alder, Willow, Maple, Poplar. These trees grow exponentially each year and require large amounts of water to do so. So now you are wondering….what would the “tree guy” say. The answer is not so simple. I would NEVER say to just cut the trees down because they were in somewhat of a close proximity to your septic field (whatever a “close proximity” may be.) If you have a tree that you suspect is a direct threat to your septic system (or a dying/dead tree that could fall on your septic field – which is another problem!) you could call an Arborist and have a discussion about options. There are factors to consider in any decision to remove a tree. 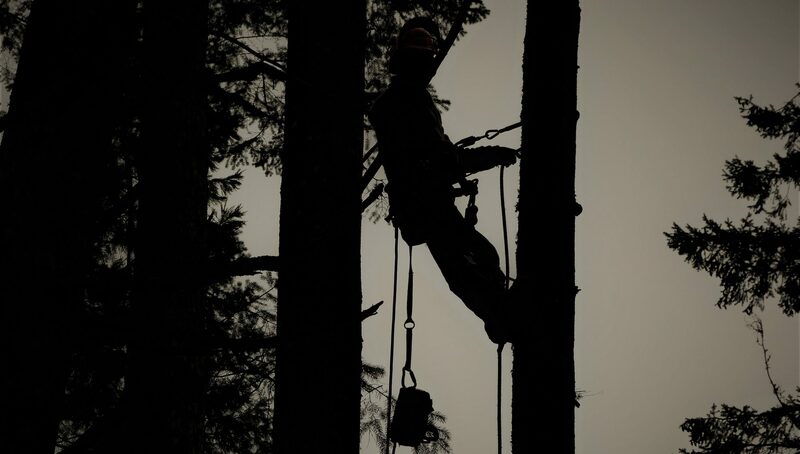 Ultimately, it is your decision about whether or not you remove trees that may be a threat but an Arborist may be able to shed some light on a specific circumstance. What I could say, with 100% certainty, is avoid planting trees near your septic system, especially deciduous trees! Always be mindful of site selection when tree planting. When planting a tree, it is also important to consider where the power/service lines are, identifying structures that will end up below the mature tree, location of possible underground utilities, etc. Consider how big the tree is going to get, the micro climates it will create and what it will require for maintenance. Know your trees and how they are contributing to or inhibiting the functionality of your property and your home. Next PostNext Is your yard safe?